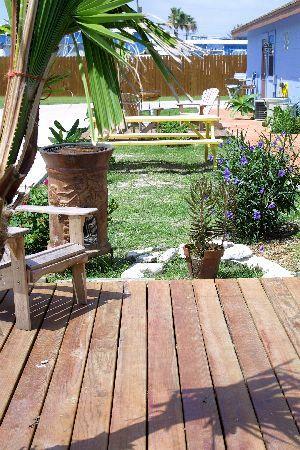 Completely renovated, Balinese Flats and the newest addition the Balinese Piers have been designed to give you the most relaxing and enjoyable seaside vacation possible in Port Aransas, Texas in the United States. 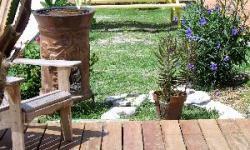 Since the first step of any trip is preparation, we can provide you with a realistic view of what you can expect upon arrival. Centrally located, Balinese Flats is within walking distance to all of the major charter boats, city marina, 24-hour ferry boats, restaurants, community pool and birding center. A one minute car ride delivers you to the start of 18 miles of beautiful drive-on beaches. 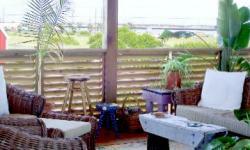 At Balinese Flats in Port Aransas, Texas, guests will enjoy a blend of rustic elegance and modern comforts. In addition to the apartments, the owners have built a couple of single hotel rooms. 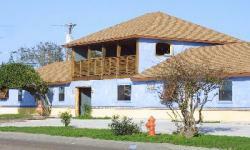 All the units are comfortable and beautifully decorated with Mexican tiles, furniture, and accents. The bedrooms come with two queen beds, one queen, or two twins. Three units come with a full-size fridge; three come with a half-size fridge. Make sure to bring your cocktail fixin's so that you can enjoy the upstairs veranda with drink in hand. 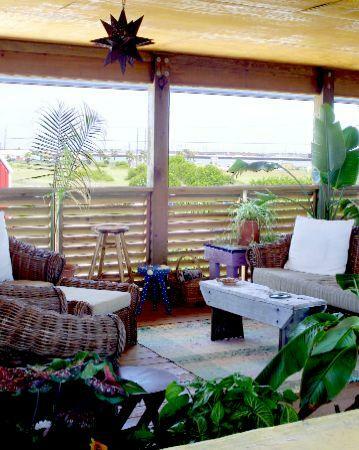 Balinese Flasts in Port Aransas, Texas, owns another property that has views of the water from the protected side of the island. It's called Balinese Piers.